A shocking admission by the editor of the world’s most respected medical journal, The Lancet, has been virtually ignored by the mainstream media. 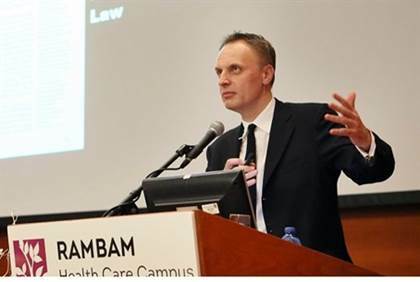 Dr. Richard Horton, Editor-in-chief of the Lancet recently published a statement declaring that a shocking amount of published research is unreliable at best, if not completely false, as in, fraudulent. To state the point in other words, Horton states bluntly that major pharmaceutical companies falsify or manipulate tests on the health, safety and effectiveness of their various drugs by taking samples too small to be statistically meaningful or hiring test labs or scientists where the lab or scientist has blatant conflicts of interest such as pleasing the drug company to get further grants. At least half of all such tests are worthless or worse he claims. As the drugs have a major effect on the health of millions of consumers, the manipulation amounts to criminal dereliction and malfeasance. The drug industry-sponsored studies Horton refers to develop commercial drugs or vaccines to supposedly help people, used to train medical staff, to educate medical students and more. Lancet’s Dr. Horton concludes, “Those who have the power to act seem to think somebody else should act first. And every positive action (eg, funding well-powered replications) has a counter-argument (science will become less creative). The good news is that science is beginning to take some of its worst failings very seriously. The bad news is that nobody is ready to take the first step to clean up the system. Corruption of the medical industry worldwide is a huge issue, perhaps more dangerous than the threat of all wars combined. Do we have such hypnosis and blind faith in our doctors simply because of their white coats that we believe they are infallible? And, in turn, do they have such blind faith in the medical journals recommending a given new wonder medicine or vaccine that they rush to give the drugs or vaccines without considering these deeper issues?